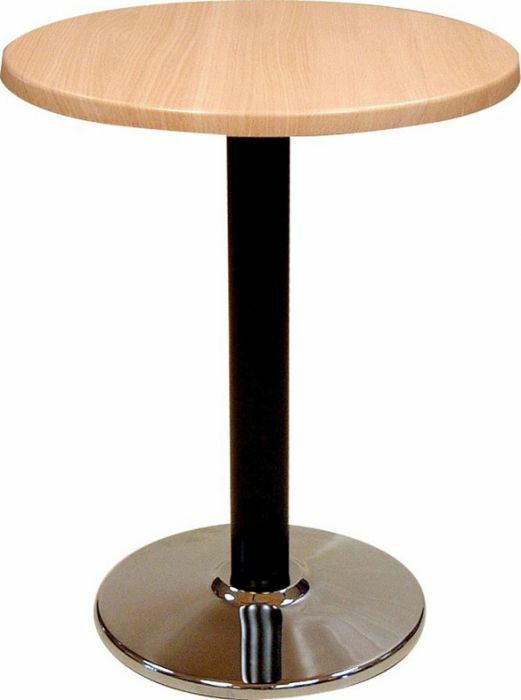 Cafe table base with a Chrome base and Black column. 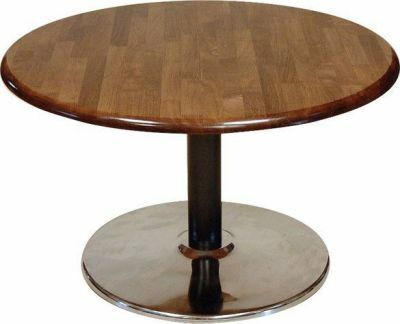 Designed for use with table tops up to a maximum size of 800mm round or 700mm square. Delivered from stock witin 3-5 working days. Skido café tables consist of a chrome base and black column. 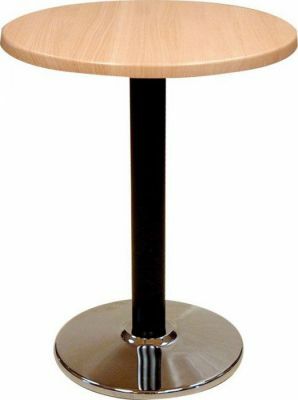 These are heavy duty café tables suitable for commercial use in cafés, bars, restaurants and other commercial applications. This café table is able to support a comprehensive choice of café table tops up to a maximum size of 700m,m x 700mm or 800mm diameter. Skylar café tables are delivered flat packed for self assembly.